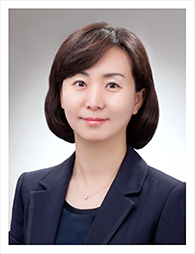 Abbvie Korea said Monday that it has appointed Kang So-young as its new general manager. Kang started her career at Novartis Korea’s marketing and sales departments and moved to Abbott Korea in 2005 where she also oversaw the marketing and sales of the company’s specialty business division. In 2013, Kang joined Abbvie and took charge of marketing and sales of specialty and hepatitis C division in the company, and business development and pipeline division later. Recognizing her contributions, Abbvie appointed Kang as the vice president of marketing and sales of specialty and viral products in 2018, since when she has also been responsible for developing strategies for hepatitis C infection in Asia Pacific region and Japan. Ahead of Kang’s inauguration, the company held a retirement ceremony for Kang’s predecessor, Yoo Hong-ki at COEX, southern Seoul, on Friday.